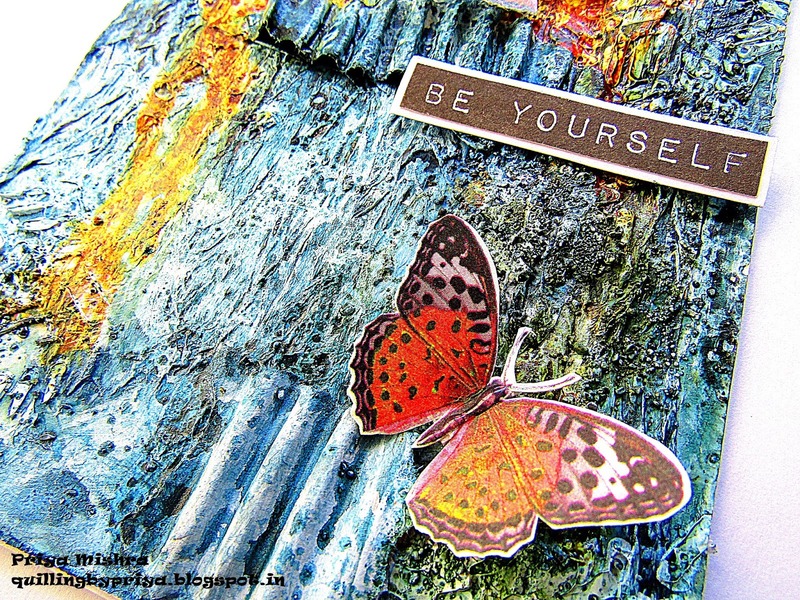 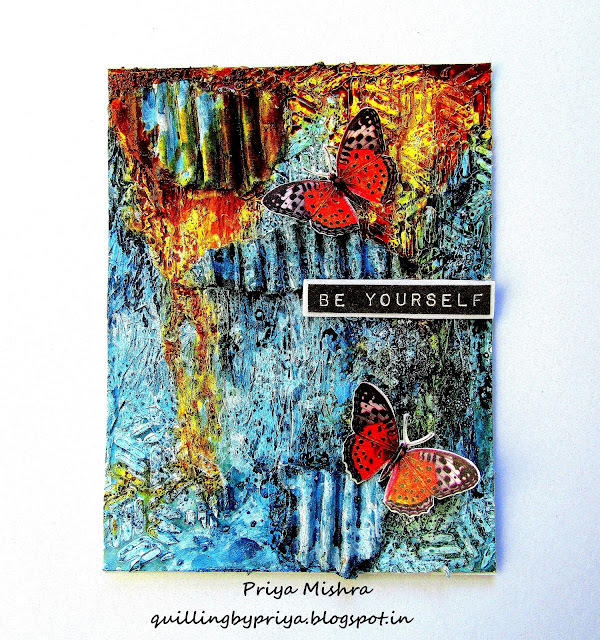 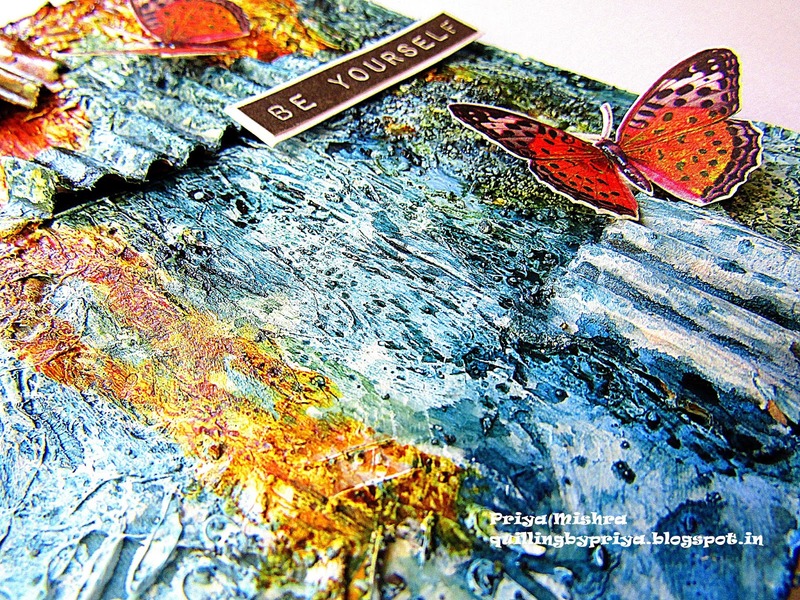 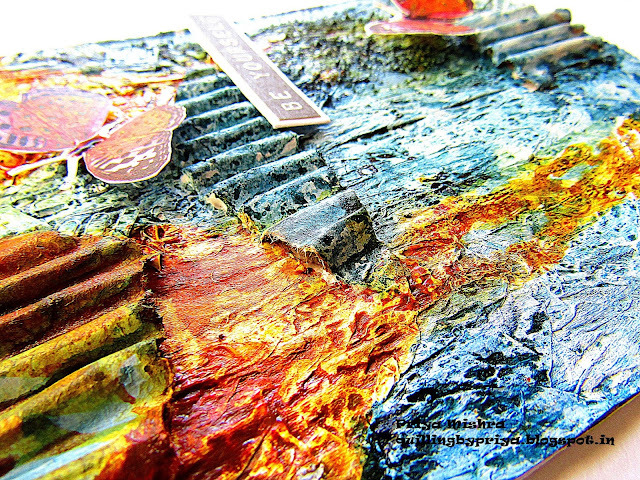 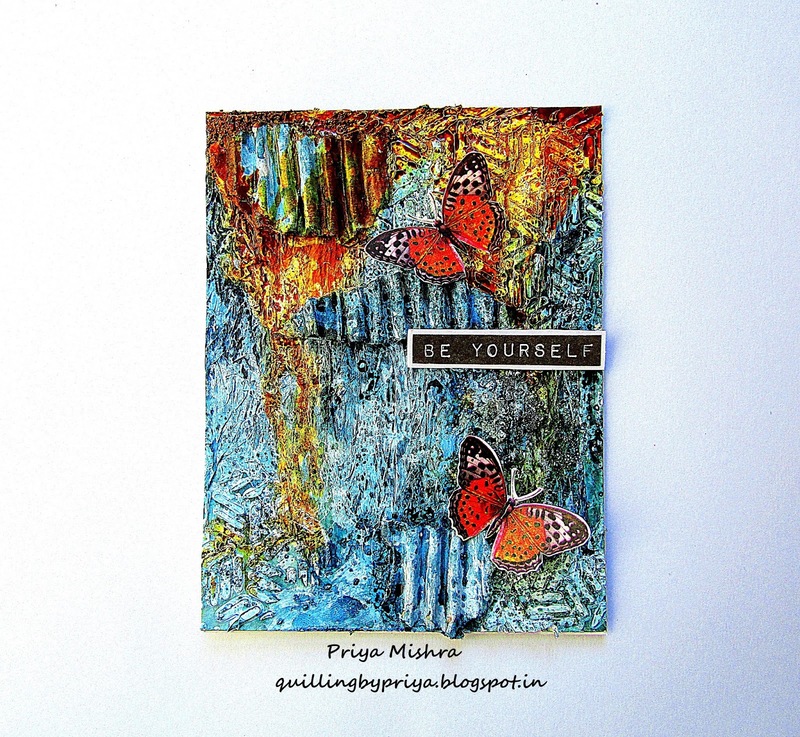 Today I'm sharing a Mixed media card for Make My Monday Challenge blog. 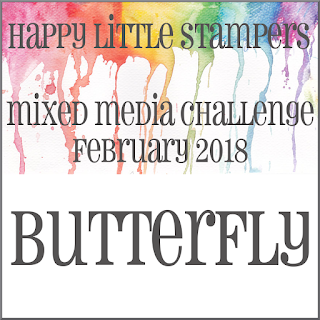 The theme for Challenge #65 is "Messy Background"
I used pattern papers, tissue papers, corrugated sheet and stencils to create a messy background and colored using Distress Sprays. 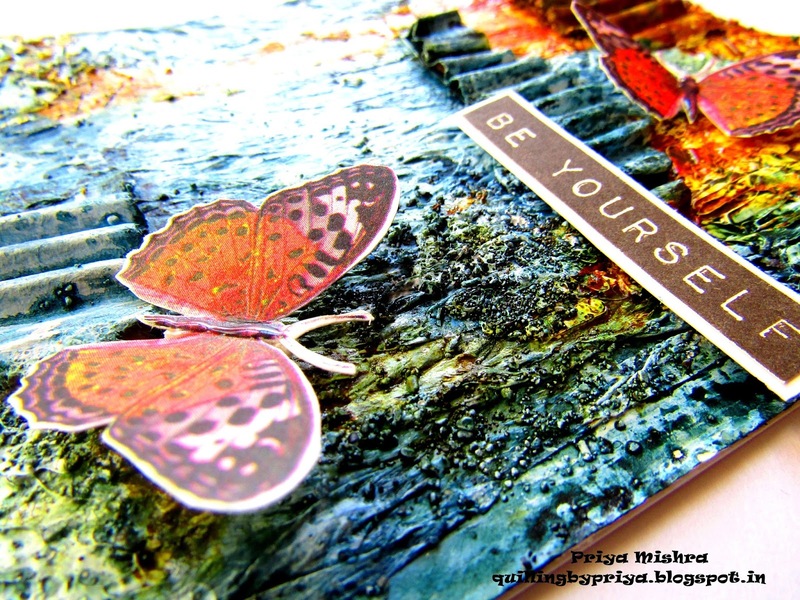 Hope you like my project. Do not forget to enter the challenge and find out more gorgeous DT creations.